Readicut had offered hexagonal and octagonal rugs for several years, but had adapted several more of their popular designs into octagonal options. 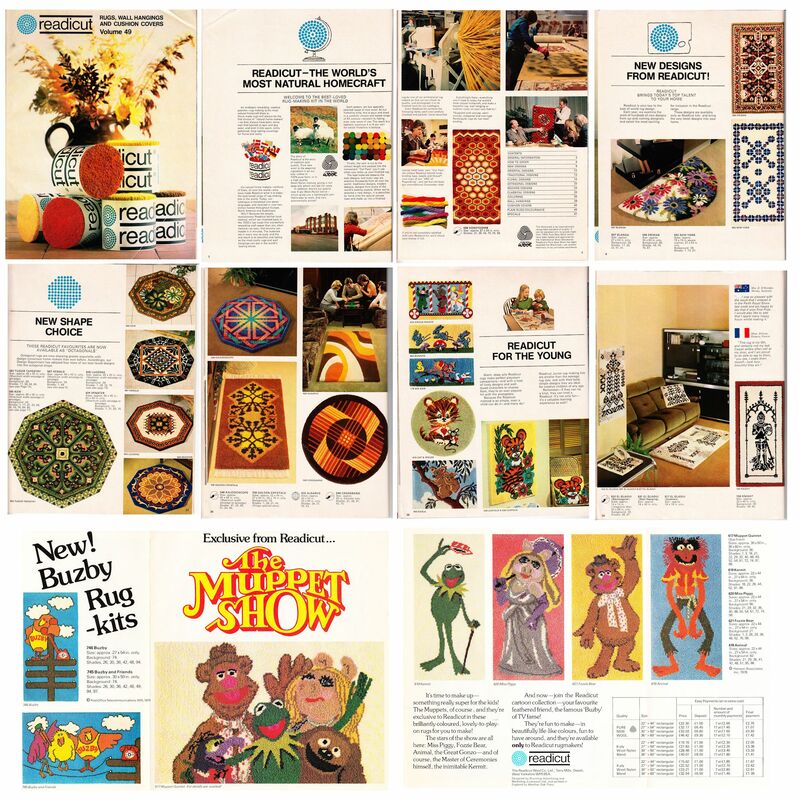 A additional sheet offered Busby (A British Telecom figure) and Muppets rug designs. In addition to rugs, wall-hangings and cushions, you could make small rugs (cushion fronts) to put the telephone on and have a truly matching decor.